GameStop is making it easier for guests to take advantage of the unique rewards and benefits its exclusive loyalty program, PowerUp Rewards™, offers. Starting today, all U.S. members can choose to save their points and make selections from the PowerUp Rewards Catalog or receive $5, $10 or $15 reward certificates that can be used to make purchases in any GameStop store. Members can enroll at any GameStop store and manage their accounts online or within the GameStop mobile app, available for free download through iTunes® and the Google Play store. The newly added dashboard feature makes it easier for members to select their reward preferences. As they reach certain point thresholds they will see the certificates added to their individual Active Offers, or they can stockpile their points to shop for great items in the Rewards Catalog. "Many of our PowerUp Rewards members have asked us to send them their rewards automatically upon hitting a certificate reward threshold," said Frank Hamlin, chief marketing officer at GameStop. "We listened to our customers and are now giving them the option to customize their reward experience, helping our customers track their accounts in real time while keeping more money in their pocket and offering a more personalized experience." For all purchases made at GameStop, PowerUp Rewards members receive points that can be redeemed for a variety of rewards, including gaming gear and collectibles available in the PowerUp Rewards Catalog and rare game-related rewards and experiences. For example, for 25,000 points or less members can get such cool items as a 12-inch Godzilla figure, a R2D2 STAR WARS scarf, or a $25 reward certificate. PowerUp Rewards Pro members will automatically be set to stockpile their points and Basic members must make a selection to set their preference to save their points or automatically convert points to reward certificates. The first reward certificates are being issued now via email when a member has a qualifying point balance of at least 5,000 points. Reward certificates will be valid for 30 days. 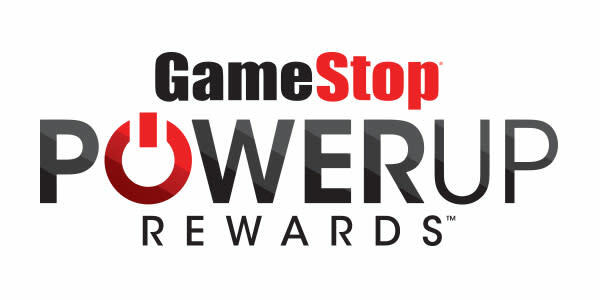 The award-winning PowerUp Rewards program is one of the fastest growing loyalty programs in retail providing rewards and benefits for shopping at GameStop. At stores nationwide, customers can obtain a free Basic PowerUp Rewards membership or upgrade to a paid Pro membership for $14.99 and receive additional rewards such as point bonuses, a digital or print subscription to Game Informer magazine and other special discounts. Membership is open to residents of the United States who are 13 years of age or older with a valid email address. For information about PowerUp Rewards, visit www.PowerUpRewards.com. GameStop Corp. (NYSE: GME), a Fortune 500 company headquartered in Grapevine, Texas, is a global, omnichannel video game, consumer electronics and wireless services retailer. GameStop operates more than 7,100 stores across 14 countries. The company's consumer product network also includes www.gamestop.com; www.Kongregate.com, a leading browser-based game site; Game Informer® magazine, the world's leading print and digital video game publication; and ThinkGeek, www.thinkgeek.com, the premier retailer for the global geek community featuring exclusive and unique video game and pop culture products. In addition, our Technology Brands segment includes Simply Mac and Spring Mobile stores. Simply Mac, www.simplymac.com, operates 76 stores, selling the full line of Apple products, including laptops, tablets, and smartphones and offering Apple certified warranty and repair services. Spring Mobile, http://springmobile.com, sells post-paid AT&T services and wireless products through its 908 AT&T branded stores and offers pre-paid wireless services, devices and related accessories through its 70 Cricket branded stores in select markets in the U.S.
General information about GameStop Corp. can be obtained at the company's corporate website. Follow GameStop on Twitter at www.twitter.com/GameStop and find GameStop on Facebook at www.facebook.com/GameStop.